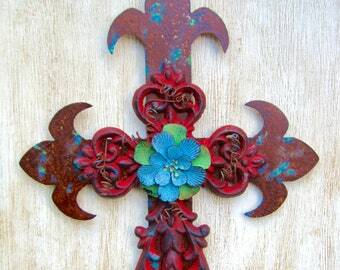 Announcement Wall Crosses - Add a unique wire-wrapped beaded Wall Cross to your Cross Wall. 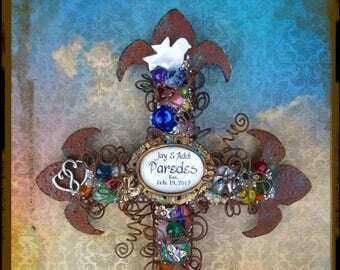 Our crosses make very special gifts for all Christian occasions. All of our crosses reflect Jesus as the "True Vine". 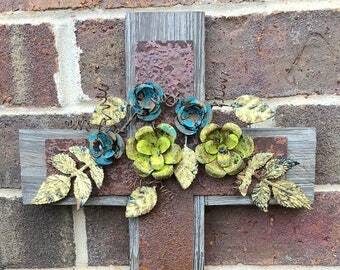 Our name is Totally Crosses, however, I love to make other items with wire, so you will also see those in our shop from time to time. No one in the world will have a cross exactly like the one you receive from Totally Crosses. 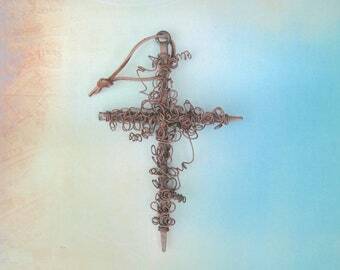 You will notice a distinct and unique wire-wrapping technique in all the crosses designed and hand-sculpted by Oklahoma Artisans TC & Les Cunningham. Thanks for looking in our shop! 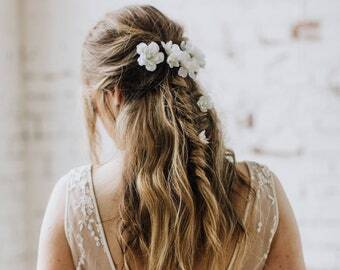 Check out our profile for more information. 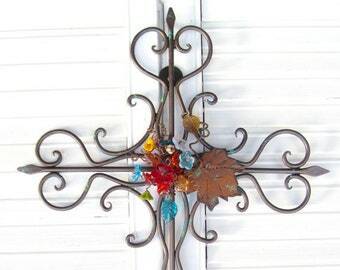 Wall Crosses - Add a unique wire-wrapped beaded Wall Cross to your Cross Wall. Our crosses make very special gifts for all Christian occasions. Shipped to a customer today in Cocoa, Beach, Florida. Thank you for your order! My Studio - Out in the trees behind the house on the creek. I am blessed to have this awesome work place. My Studio - TV and a view outside from my work bench. My Studio - Work bench & another peaceful view outside. Hi, my name is T.C. Cunningham. That's where the name Totally Crosses came from, my initials. I believe God has gifted me with a creative mind. I have so many new ideas for my particular artistic gift, there is no time to execute them all. But I think that's a good thing. I hope my work not only appeals to you but also inspires YOUR creative mind. And as you browse my shop, think of Jesus! 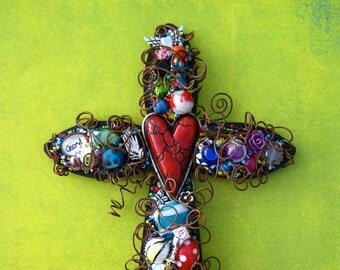 I am a wire sculptor, mainly of Christian crosses, but I love to wire-wrap anything I can get my hands on. Just recently I even wire-wrapped some pecans to look like acorns:) I have developed a unique wire sculpting technique that you'll see in all my cross designs. My husband and I started our little business in 2002. We started selling here locally in Oklahoma and soon after started selling online. I'm always creating something new, so check back often. I Praise God for my gifts! It brings me such joy to create. Les is my spouse. I couldn't do this business without him. He is an encourager most of all. 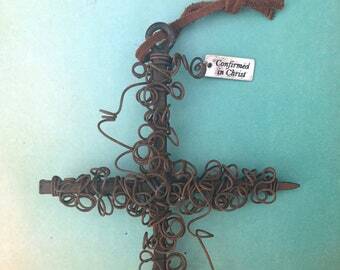 He welds the inside of most of the designs of crosses, and then does the initial wire wrap. I take it from there with designing and final wire wrap.